Eight years ago today I married the best man in the whole, wide world!! We had a wonderful, happy day surrounded by our closest friends and family. It was a crisp, sunny day, like today has been. Although the next day it snowed, I remember because it delayed us on the runway at Manchester airport so we missed our connecting flight to Australia! After the honeymoon there was one more ‘make’, the wedding album. 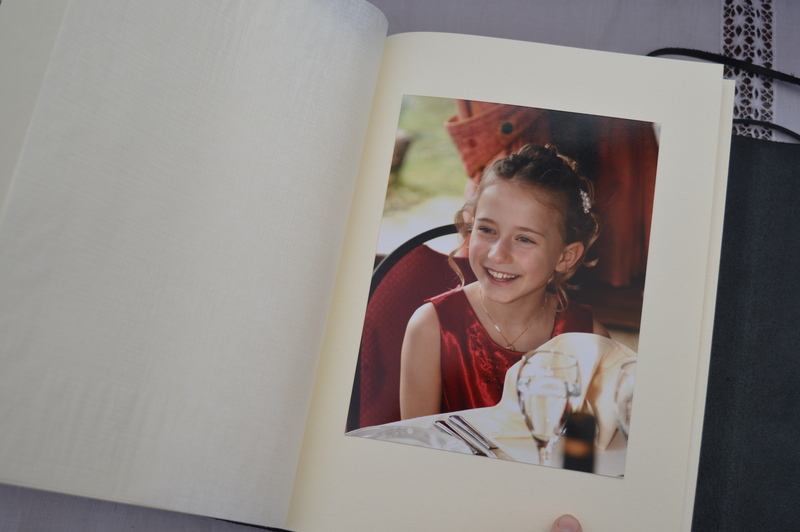 I was adamant I didn’t want the traditional photographers wedding album, I wanted something more personal. 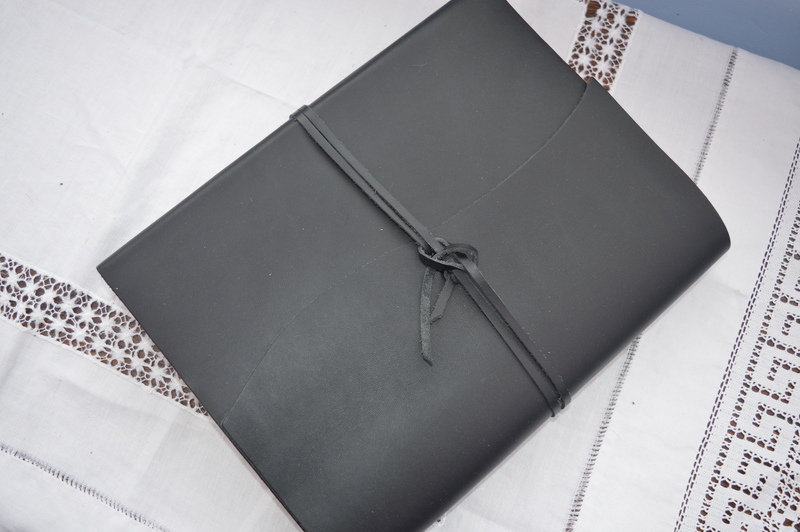 I found beautiful ‘Italian Wrap’ Leather photograph album by Aspinal of London. It’s gorgeous, the leather feels gorgeous, it has a leather tie to wrap round and secure it, it still has that wonderful leather smell even after all these years. The pages are tissue leaved too. I ordered official photographs to go in it, but also intermingled photos from friends and family. 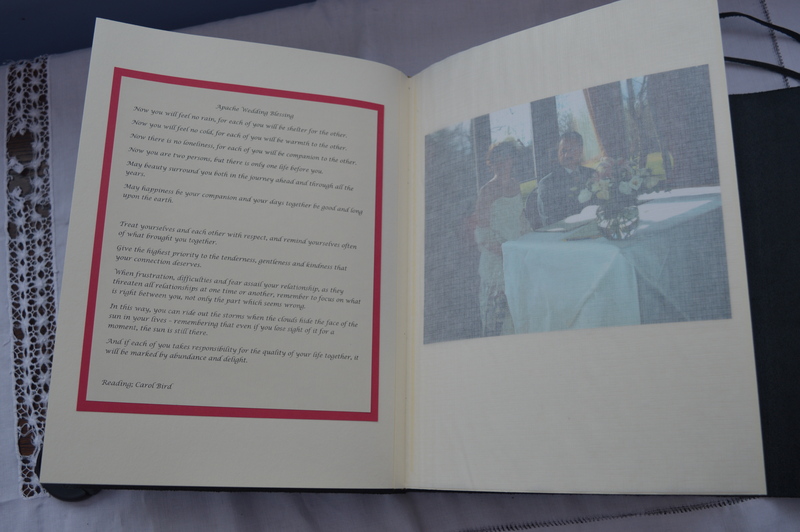 By making my own album I was able to include items like the menu and place cards, I wrote out the readings from the service, I included information about the music we had, both at the ceremony and at the reception, all details that it is easy to forget over the years. Last month I made a special box to keep the album and other momentos in. 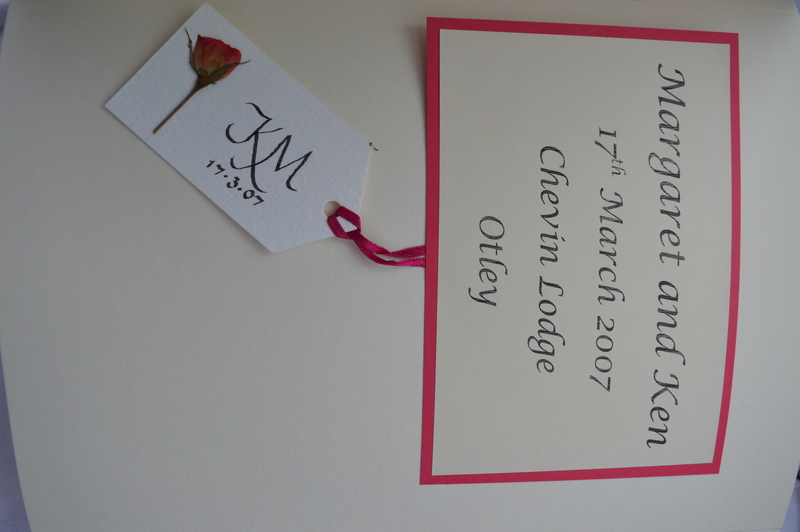 It’s been great this week looking back at all the things I made for our special day, I’ve really enjoyed it and hope you have too. 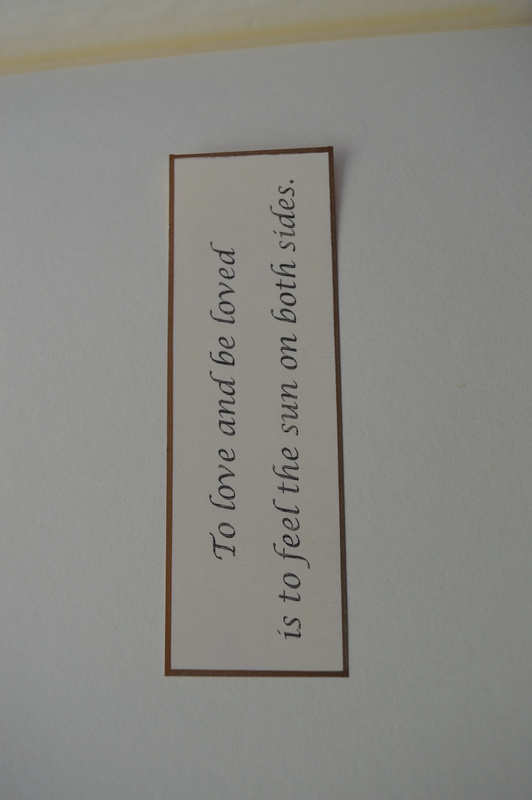 This entry was posted in Crafts, Wedding and tagged wedding. Bookmark the permalink.